Black Amber is it associated with safety and security, it is a powerfully protective stone. Black Amber will absorb and dispel negative energy by calming and clearing the Hara. 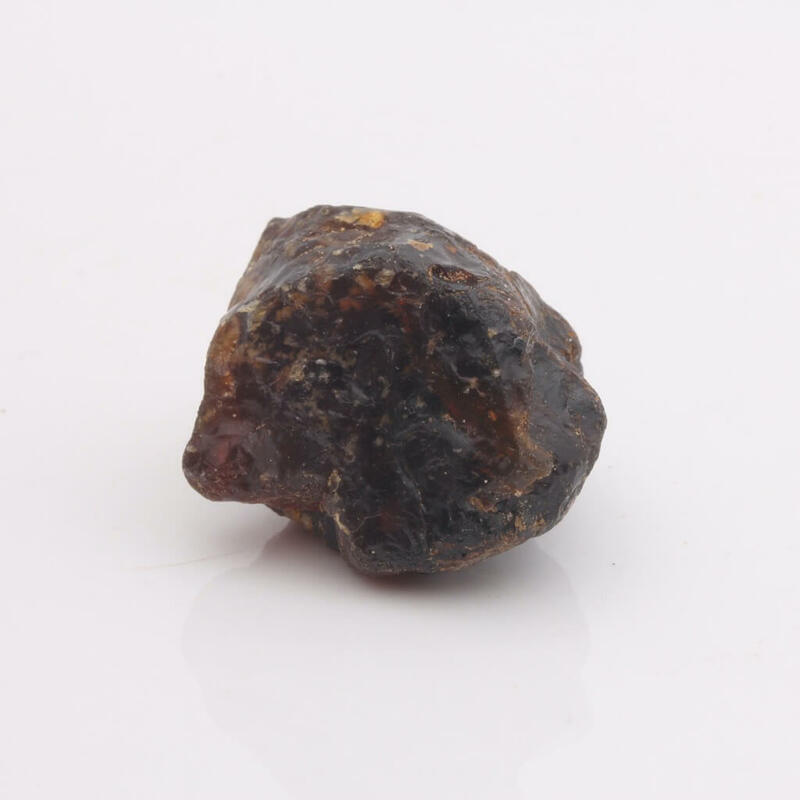 ​​​​​​​Black Amber is it associated with safety and security, it is a powerfully protective stone. It protects the user from psychic attacks and psychic vampires, it is also reported to remove hooks and cords from the Hara and Kundalini line and will assist in the healing of the damage previous hooks and cords may have caused. Black Amber accounts for about fifteen percent of the all the Amber found. However, it is not actually pure fossilised tree resin. It has been mixed with the remains of the tree from which it came or other plant matter. That does not make it any less attractive. If a specimen is made up entirely of carbonised coal, there is little difference between Jet and Black Amber. Consequently Jet is sometimes called Black Amber. When Black Amber is held up to the light, it will usually be another colour. The back-light shines through the amber and a different colour will show. This colour is usually a dark red, blue, or brown. It is criticised that the Black Amber is not truly black because of this property and some people deny that black amber even exists. Amber serves as a bridge to connect the energies of Heaven and Earth of the spiritual and the physical realms. Amber can be used to ground spiritual energies into your physical body and fill it with light. Amber can also help you feel more connected to the physical plane. Amber is helpful in dissolving energy blockages and relieving depression. Although for purposes of chakra balancing, it is placed on the navel area, it can be placed at any point where you feel that you need to be revitalised. This type of dark coloured amber is most closely associated with the Hara chakra. The Hara is sometimes called a chakra however although it is similar to a Chakra, the Hara is fundamentally different. The Hara is located at the navel, about 5cm inwards from the skin. It is the gateway into the etheric envelope surrounding the planet. This portal is called the Hara by the Taoists and is very often referred to in martial arts. Hara means ‘sea of energy’ and this is exactly what it is. The etheric envelope is like an infinite ocean of energy.